Print up to one inch high alphanumeric characters as well as barcodes and graphics. The system includes a color touch screen controller with stylus for message entry, one print head module with internal product sensor, power supply, and mounting bracket. Delivers bold, highly legible and fully formed characters in a print resolution of 300 dpi at production line speed of up to 110 feet per minute. One Serial RS485 port for communication with the print head. Alpha/numeric tactile keypad with 16 special characters. Memory for message’s storage of 200 messages. Two Serial RS485 ports, one input for communication with the controller and one output for interconnection or signaling to external peripherals. Print distance up to 3/8″ (9.5 mm). Print resolution of 300 dpi up to 110 feet per minute (33.5 m/min). Print Mixed-Raster (combined character heights) messages. Print user created logos/graphics in bitmap format in either 1″ (25.4 mm) or 15/32″ (11.9 mm) heights. Standard software includes, programmable: line speed, print direction, print delay, inter-character spacing, message orientation, automatic message repeat, lot counter, sequential numbering, shift coding, date offset, product counter, variable time and date formats, password protection and multiple language prompts in English, Spanish (standard) French and German (optional). Embedded ECP (Evolution Communication Protocol) for OEM and Systems Integration. Flash card input for: optional software, optional fonts and logos download. Dovetail slot/slide for add-on print heads. MOUNTING BRACKETERY for side coding applications. NETWORKING of up to 32 individual print head modules via an RS485 data link through either the controller or our Optional EV-NET software. At Metrix Inspira, you’ll find a dedicated and talented team of people who enjoy their work. Metrix offers a dynamic work environment shaped by our mission and vission. If you are looking for a financially strong, global company that is the leader in its industry, but one that maintains the fast-paced, creative environment of a start up. Metrix is the right place for you. Education D3/S1 in Electrical Engineering/Instrumentation/Engineering Physics. Basic understanding of SCADA, DCS, Servo Drive, Data Communication, HMI, Sensors, Encoders and Electrical Actuators is mandatory. Male. Age between 25-37 years. Minimum education for STM / SLTA, Electro Engineering, Mechanical Engineering, Automotive, Fabrication, Electricity. Able to operate computers (Microsoft Office / e-mail / Internet), Lathe, milling, Scrap, Drill, Welding, etc. Mastering the use & reading of Caliper measuring devices, Dial Indicator, Micro Meters, Roll Meters. Location of work: Cirendeu - South Tangerang. Fast and efficient, the PMB moisture analyzer by Adam Equipment provides an alternative to the time-consuming method of oven testing. The PMB not only hastens the drying process, it minimizes the possibility of burning a sample, which can produce false results. PMB uses the basic "loss-on-drying" technique to simultaneously weigh and heat the sample, reducing the testing period and providing greater measurement accuracy. In many cases, the PMB can replace traditional oven testing and also the Karl Fischer titration method of analyzing moisture. For many laboratory applications, a balance with a high level of precision is essential for weighing samples. 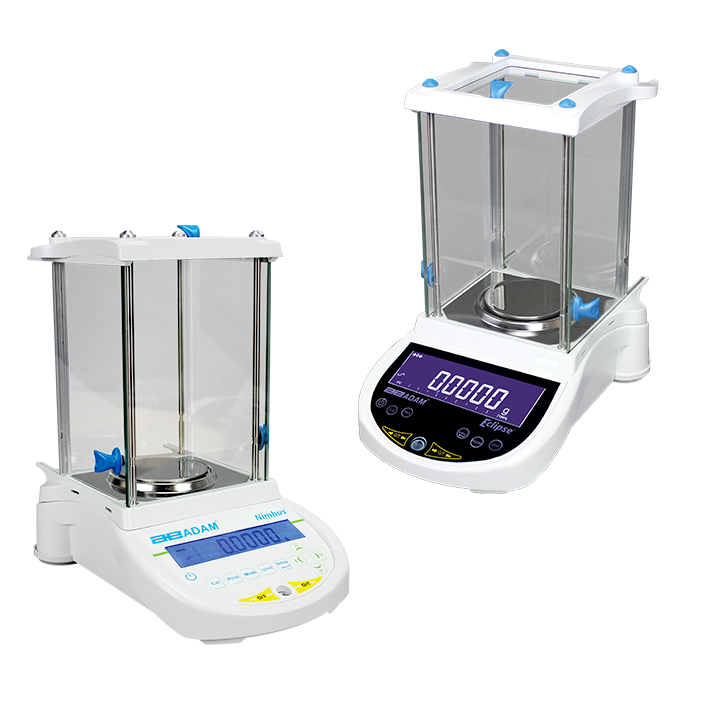 Adam Equipment's analytical balances provide readabilities to 0.1mg and can perform tasks such as formulation, density determination, purity analysis and conformance testing. 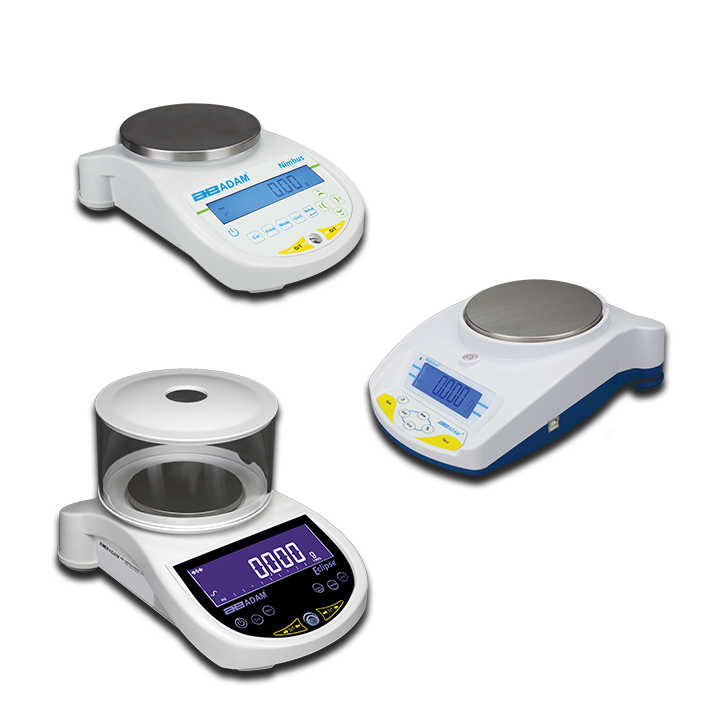 Equipped with a multitude of intuitive features and functions, Adam Equipment's top-loading precision balances are well-suited for laboratory use, quality control testing, manufacturing operations and production applications. 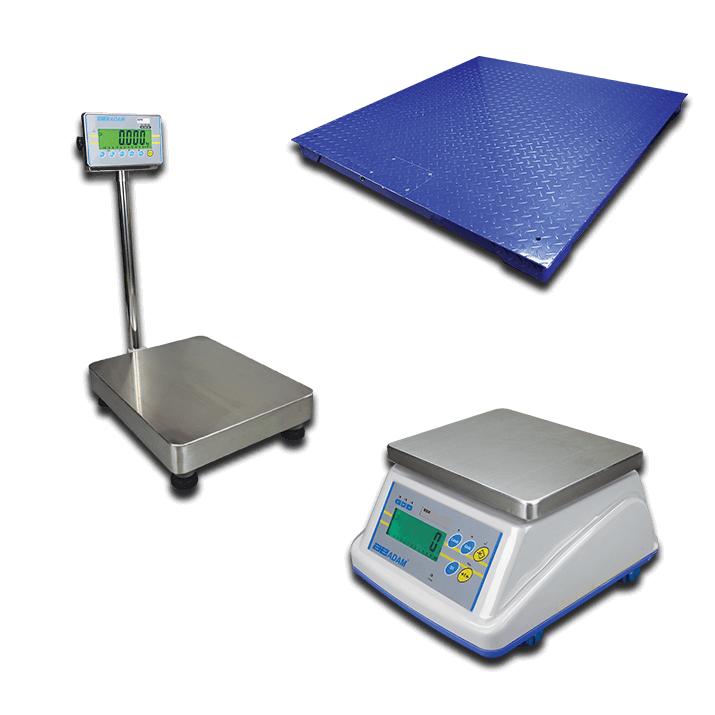 Adam Equipment's durable bench and floor scales provide dependable weighing solutions for a wide variety of industries. Simple to operate, these industrial scales offer the functions and features needed to improve efficiency and increase productivity in factories and warehouses, on assembly lines or loading docks, during shipping and receiving activities, and at manufacturing locations. Adam Equipment offers scales and balances that have been approved by NMI, EU, NRCS, and NTEP for use in trade. Businesses offering goods for sale by weight are required to use approved scales to ensure that consumers are receiving exactly what they pay for. That includes establisments that sell food and alcohol, produce, livestock feed, firewood, liquid fuel, landscaping materials, precious metals and stones, mechanical and construction parts, and prepackaged products . 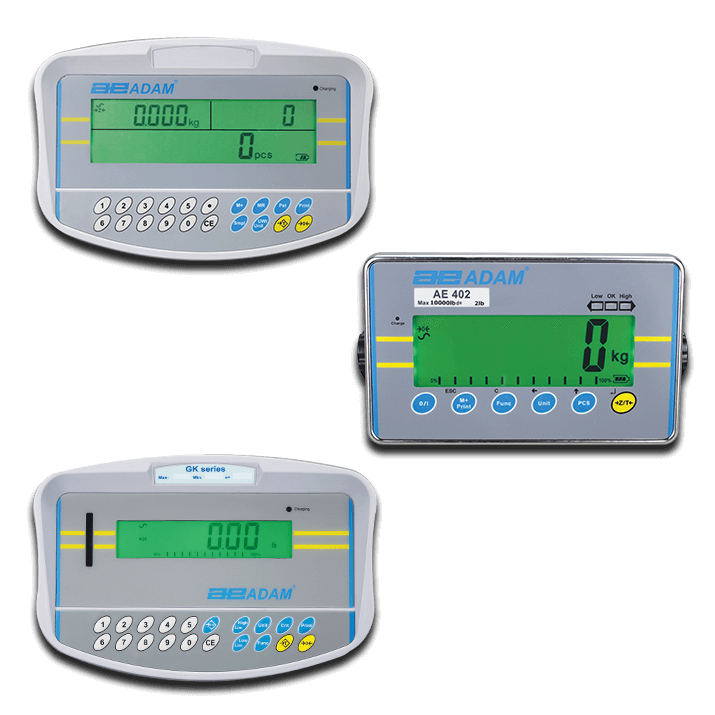 Adam Equipment offers mechanical balances for applications requiring fast, easy weighing without electricity or battery power. Several kinds of mechanical balances are widely used through the world. The triple-beam balance is one of the most popular types, as it is simple to use and transport. 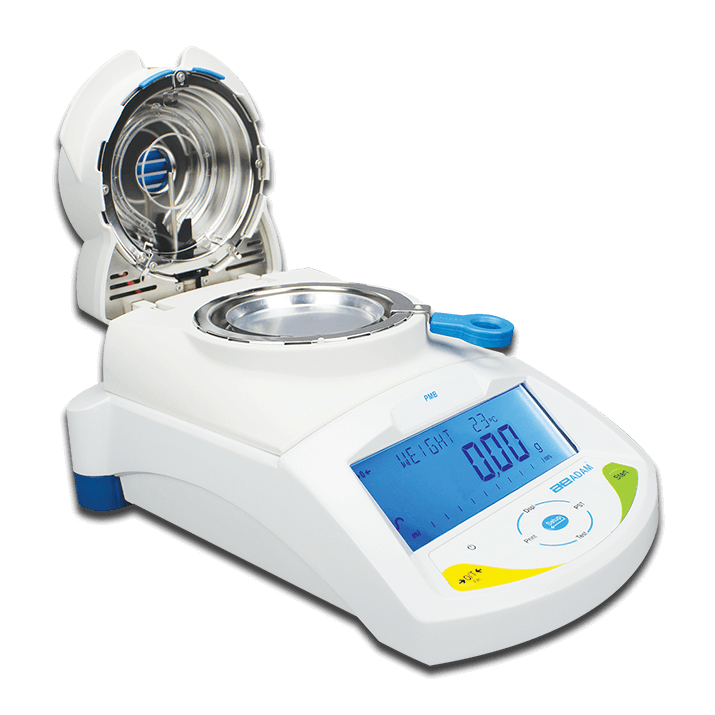 It features a weighing pan and counter weights, and offers speedy calibration using the weights that frequently are provided with the balance. 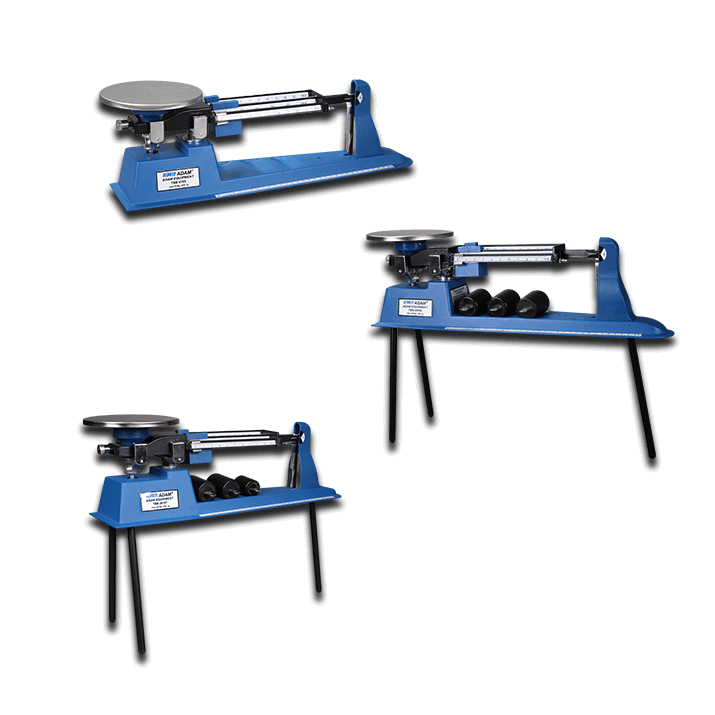 Triple-beam balances are commonly used in classroom settings to weigh powders and bulk ingredients. 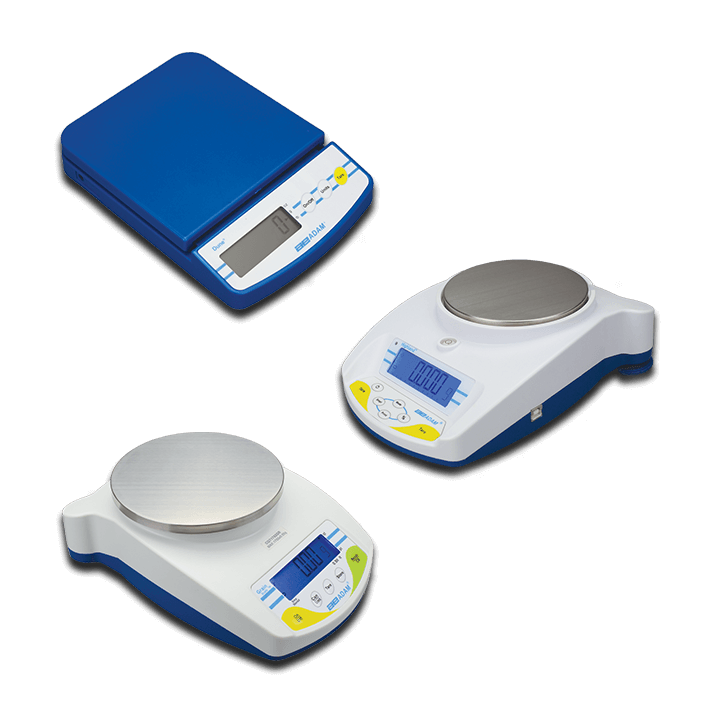 With a choice of sizes and combinations, Adam Equipment's weights simplify external calibration on precision balances. 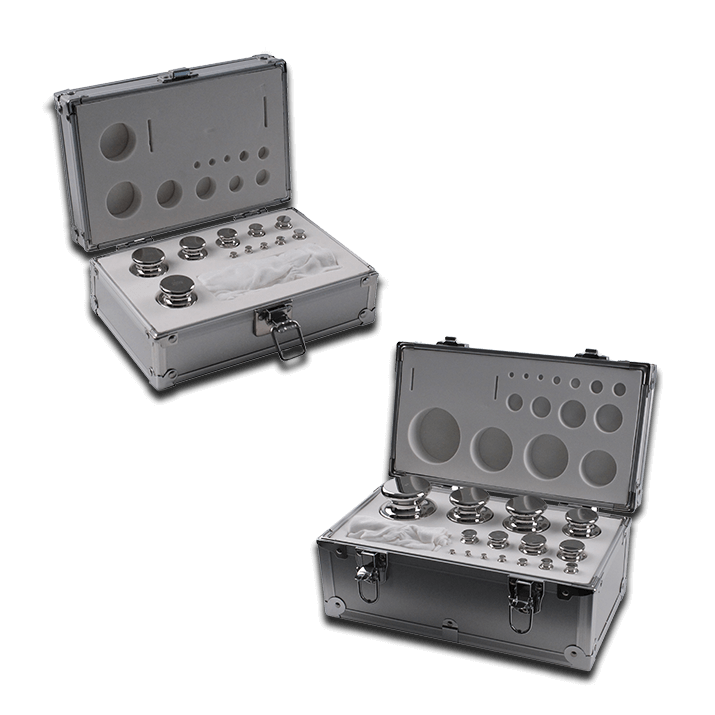 Weights are packaged in sets or individually, and are crafted of rugged cast iron or highly polished stainless steel. 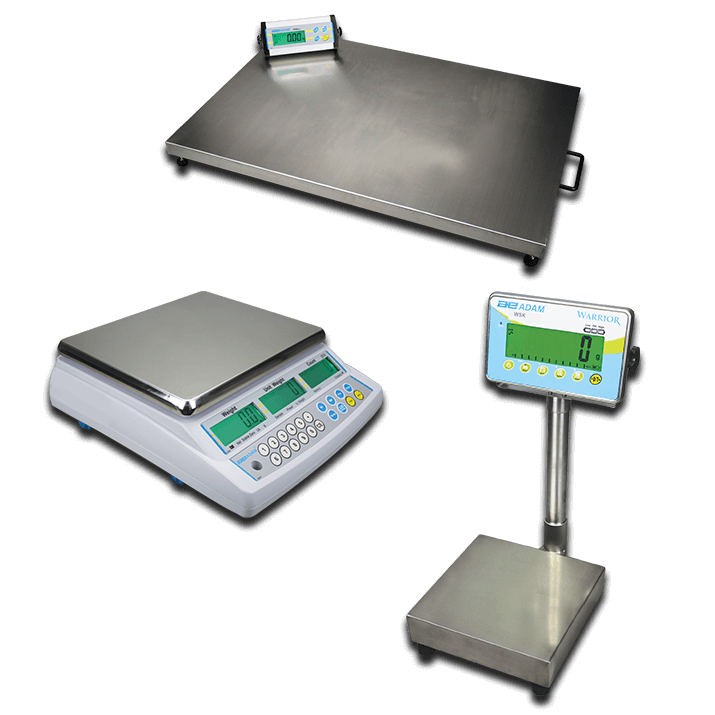 Adam Equipment offers a broad selection of durable, IP66-rated washdown scales for all types of weighing tasks. All washdown scales can be thoroughly hosed down or washed with a pressure washer, as they incorporate stainless steel parts and watertight seals. 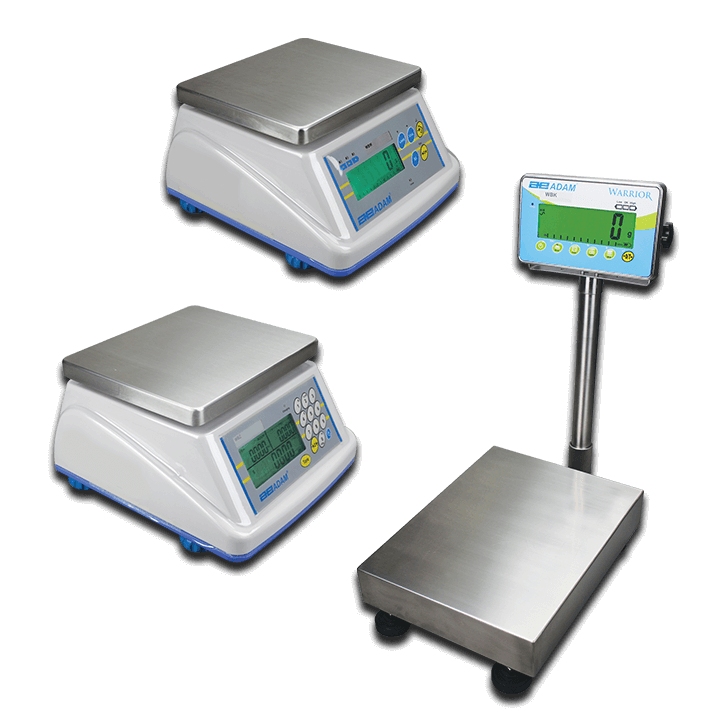 Ideal for use in many industries, Adam washdown scales are well-suited for weighing food and beverages, powders, chemicals, pharmaceuticals, or for any application needing a sealed scale for wet or dusty environments. This allows for removal of any residual particles after weighing, which minimizes the possibility of cross-contamination, removes dirt build-up and helps eliminate the growth of bacteria, mold or other toxins. 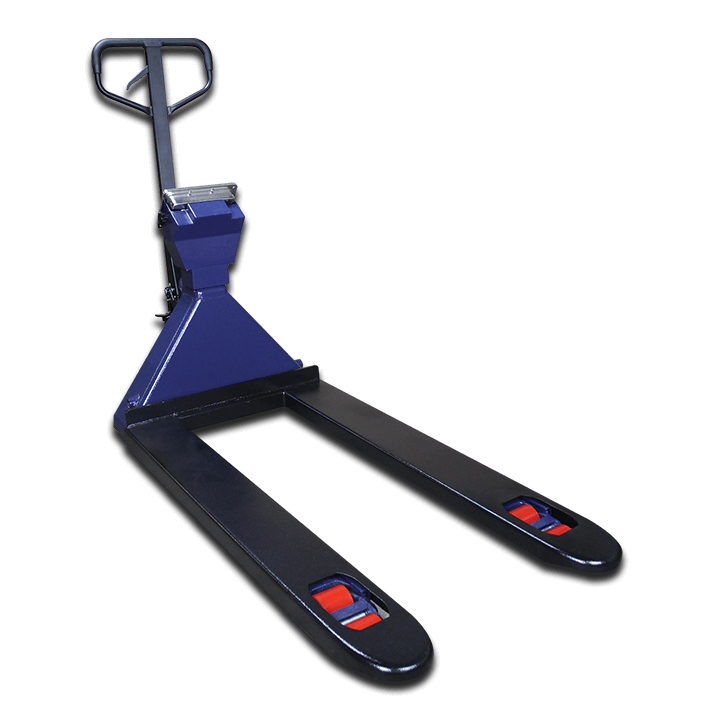 Whether it's in the warehouse, on a production floor, or at the shipping and receiving dock, Adam Equipment's PTS pallet truck scale is designed to handle the rigors of any industrial or manufacturing setting. Adam Equipment offers a range of platform scales designed with features for demanding, heavy-duty weighing in factories, shipping and receiving departments, warehouses, and loading docks. 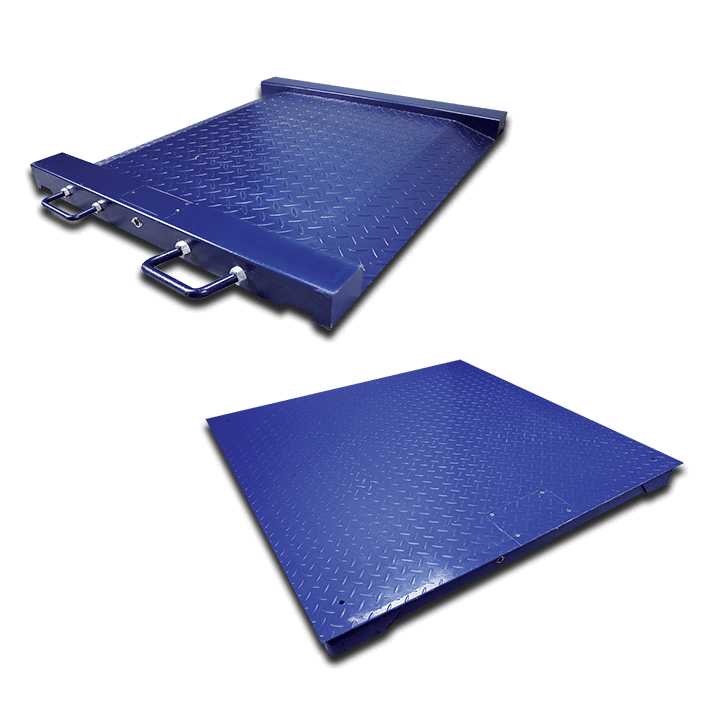 They are ideal for weighing large boxes, shipping crates, pallets, heavy luggage and other oversized items. Fabricated of durable steel, Adam's platform scales feature a diamond-textured surface to provide stability and traction.